Advances in motorcycle technology improve the riding experience and make the roads a better place for everyone. From the latest safety breakthroughs to the just plain wacky, read on to learn about a few of the products you should have on your radar. NUVIZ is the first fully-integrated head-up display (HUD) designed specifically to address the needs of motorcyclists and enhance their experience. The device reduces distractions and minimizes the amount of time a rider’s eyes need to leave the road to retrieve important info by projecting a small display into the corner of their natural field of vision. 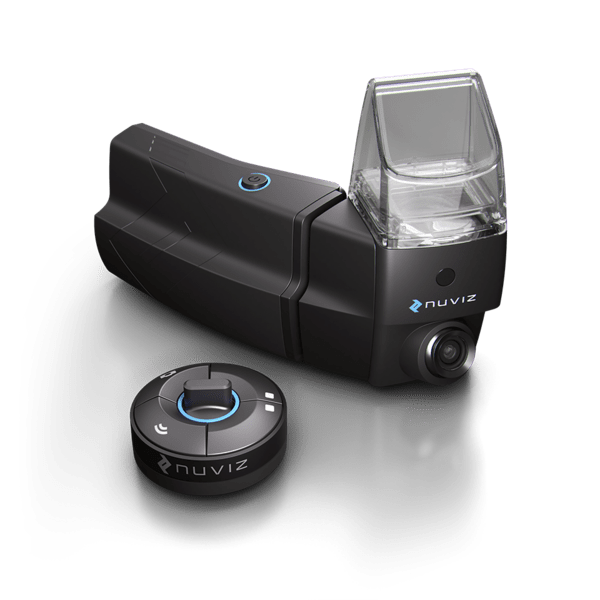 The NUVIZ system includes a helmet-mounted device and handlebar-mounted controller paired with a smartphone app using Bluetooth. It packs navigation, phone, music and HD action photo and video functions into a sleek, lightweight design. At $699 the device isn’t exactly pocket change, but even riders who don’t usually use electronics on the road have praised its quality and convenience. Bosch has teamed up with Israeli communications company Autotalks to create a safer environment for all motorists. The WiFi-based connectivity system tracks vehicles and motorcycles traveling in close range and alerts users to situations that could lead to an accident by sharing data including location, direction and speed. It is currently being tested on certain Ducati models. The technology would need to be adopted by every auto and motorcycle manufacturer to truly serve its purpose since each vehicle must be equipped to be detected by the system, but the project has the potential to save countless lives. Despite its appearance, the RYNO is closer in function to a Segway than a motorcycle. 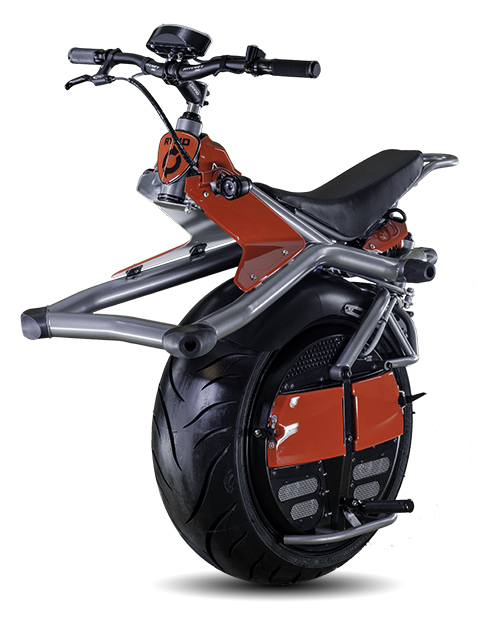 The electric monocycle weighs just 160 pounds and riders lean back and forth to control acceleration. It travels approximately 15 miles between charges and can be operated in most places where people walk or ride bicycles. With a max speed of 10 mph the RYNO won’t be a big hit with all of you speed demons out there, but if the design catches on we could see full-speed models on the roads in coming years. Learn more about the RYNO and preorder yours today. Which innovations in motorcycle technology are you most excited about? Tell us about your favorites in the comments.